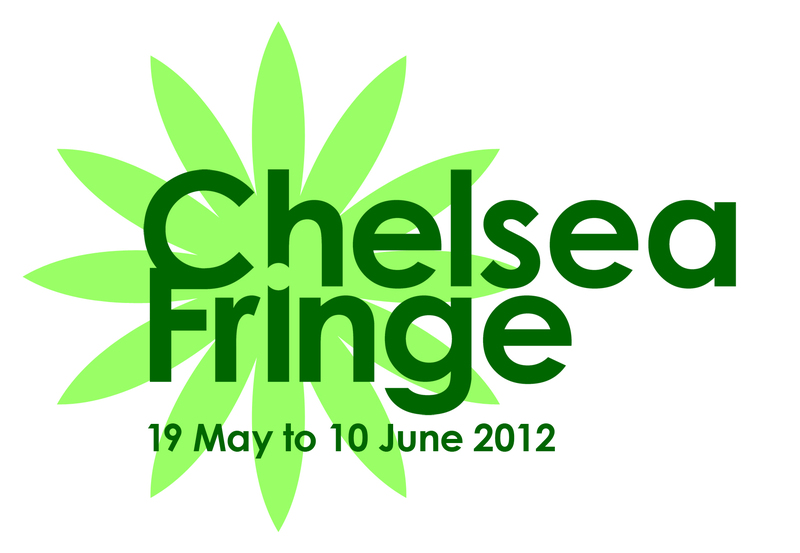 The Chelsea Fringe has drawn to a close for this year, but there were over 200 events in London alone, and some very jolly horticulturally themed happenings and gorgeous gardens to visit throughout the 3 week period (more on this in next post). 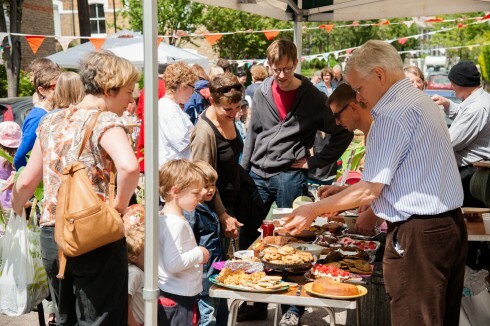 Our own Cake Sunday a week ago was a hugely enjoyable afternoon. 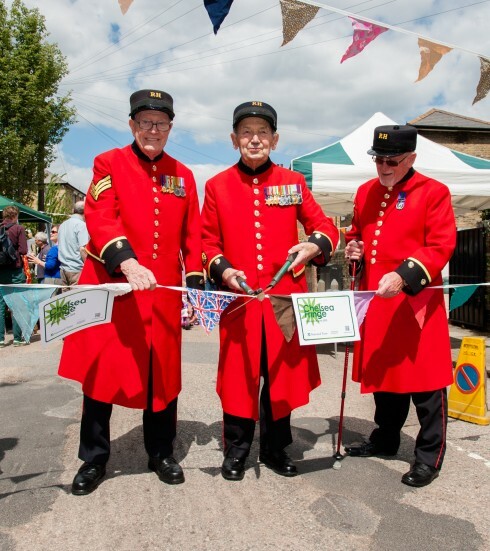 Fortunately we had bright sunny skies and the delightful trio, above, of Chelsea Pensioners, John, Bob and Bill opening our afternoon for us. and conjure up a good number of seed bombs. 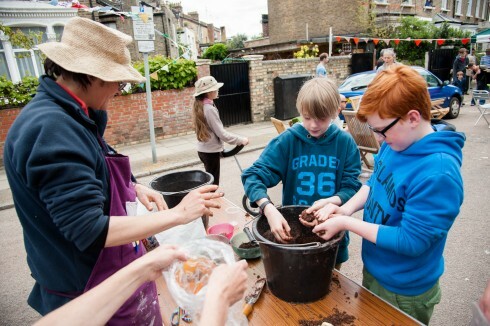 Hopefully our streets will look the greener for it later in the year! 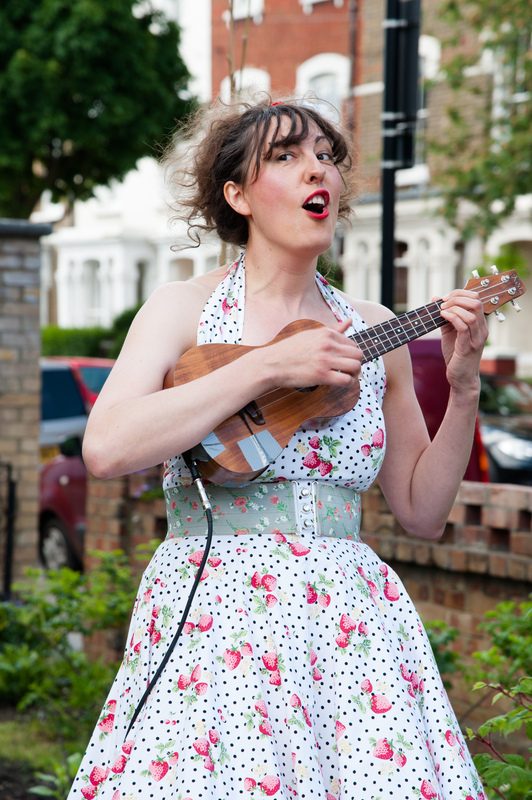 Finally, our splendid afternoon was perfectly rounded off by Jo Stephenson from ‘Can You Dig It’ singing songs from the allotment and encouraging Finsbury Park residents to join in with choruses about cauliflowers. Not sure that we’ll be able to top this next year!…..
p.s. 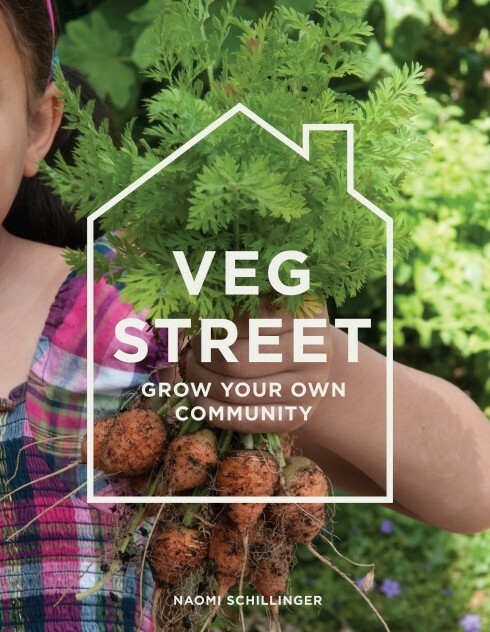 Michelle from Veg Plotting encouraged other bloggers to virtually join in with tea and cake events all over the country with The Bloggers’ Cut-great to see others embracing the connection between cake and gardening! 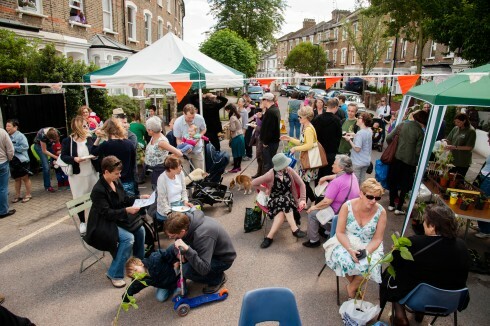 Lovely day – lovely pensioners, cakes, plants, songs, hedge-cutting, visitors, neighbourhood. 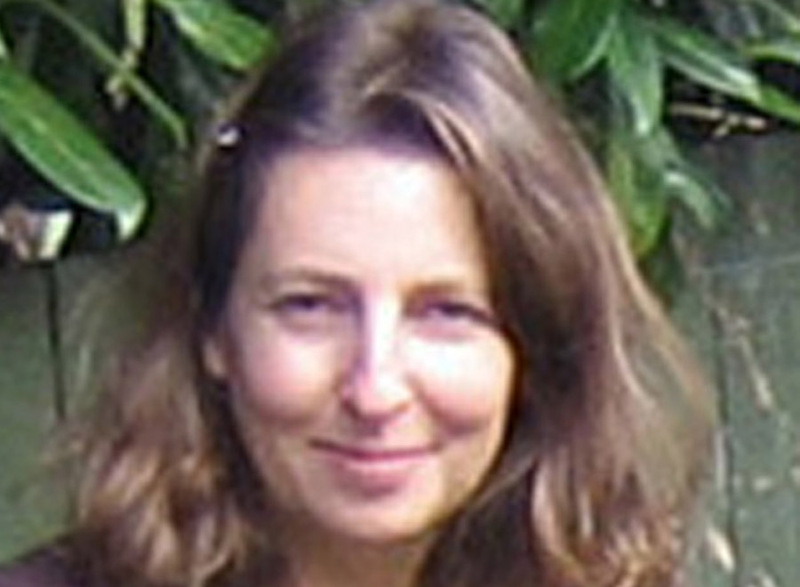 Hi Nicolette-yes, a truly enjoyable afternoon with neighbours and visitors alike. Looks great! 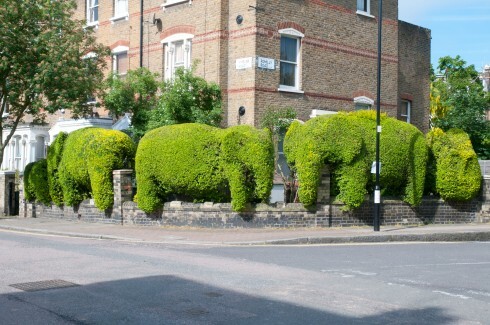 The elephants are indeed impressive – maybe he could be the Banksy of urban topiary, skulking around London in the dead of night leaving mystery privet animals in his wake. Hi Alex, I think Tim would love that Banksy tag! 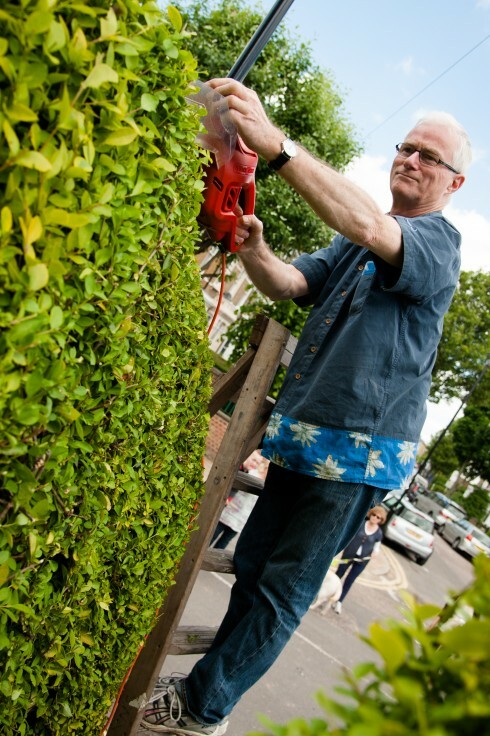 Tim and his topiary creations are just being filmed for the One Show as I type-maybe not so Banksy then! fantastic! Good to hear The One Show came off! Hi Michelle, the Chelsea Pensioners were delightful chaps and we have an invite to go down to the barracks for lunch to meet up again! Can’t wait. Looks like it was a lot of fun! Thanks for sharing your photos. Still loving those elephants!! So glad the weather smiled on you. It looks great fun and I’m sorry we couldn’t be there. Haven’t heard of Can You Dig It? before but I’ve just listened to the Love Song to Alan Titchmarsh and might just have to become a groupie! The elephants are amazing. It looks like the weather held for you. I must try and visit next year, I have heard so much about this event. Hi Zora, yes, I often see people taking pics or just looking in wonder when I pas by Tim’s elephants. They are a marvel!